Now, you can own this newest addition to the fine jewelry scene. We've found the cream of the crop of Helenite and had it cut and faceted by skilled craftsmen into a gorgeous collection erupting with vibrant color and fire. This is green like you've never seen it. 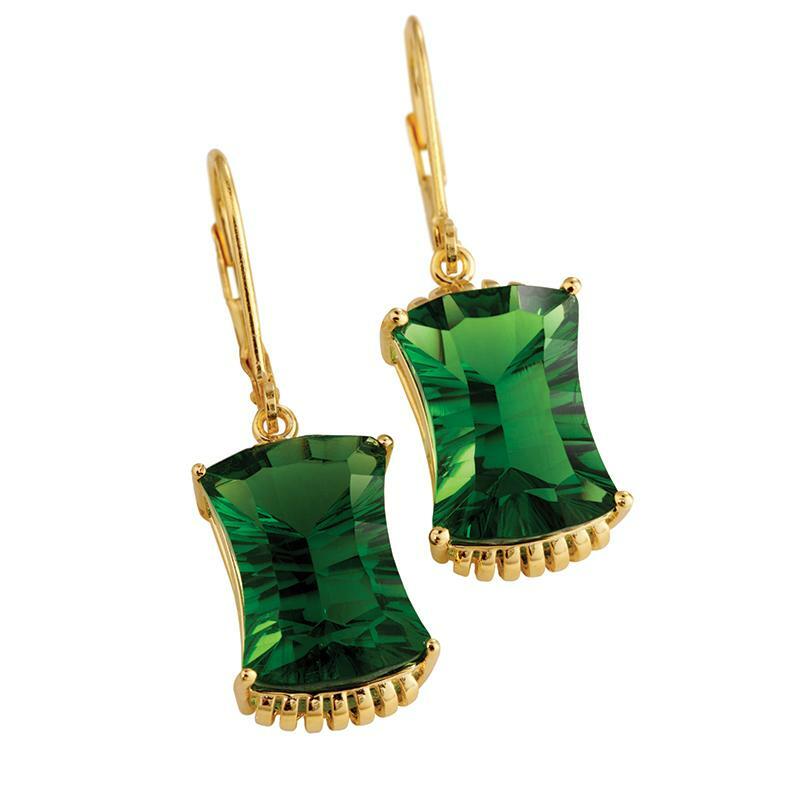 Create a stir yourself with our Helenite Phoenix Earrings. Expertly faceted, over 4-carats of Helenite in each earring set in gleaming gold-finished .925 sterling silver.